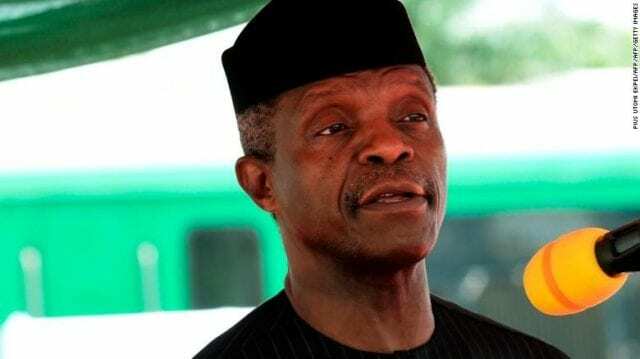 Nigeria’s Vice President Yemi Osinbajo escaped unhurt after his helicopter crash-landed on Saturday, his spokesman said. 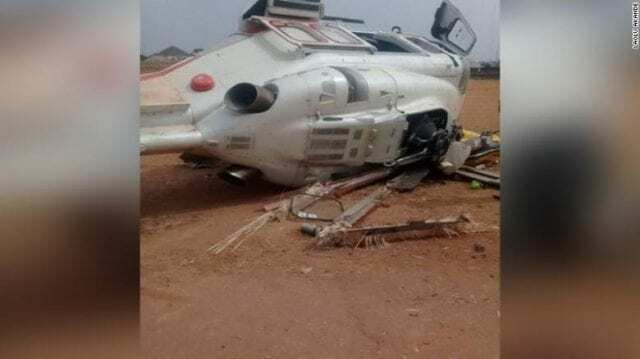 Pictures from the scene showed the helicopter on its side after the incident in Kabba, a town in Kogi State in the central region of Nigeria. 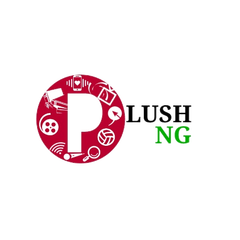 Osinbajo was on the campaign trail for his All Progressives Congress (APC) party ahead of this month’s general elections, and delivered a speech as planned shortly after the crash. “We are extremely grateful to the Lord for preserving our lives from the incident that just happened. 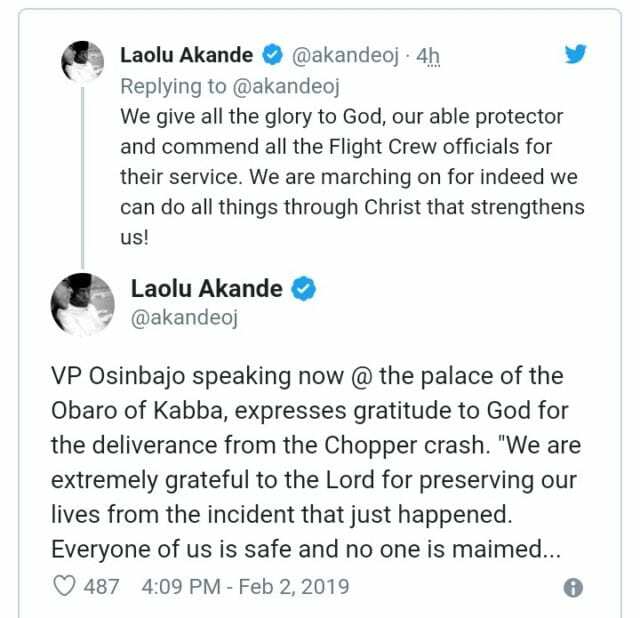 Everyone of us is safe and no one is maimed,” Osinbajo said in the speech, according to spokesman Laolu Akande. “God has kept us safe and alive, delivered us from death so we can do more for our people and country,” he said. Osinbajo also tweeted a video of him campaigning, thanking the crew and his well-wishers. “We are safe and sound! Thank you to everyone who has expressed concern and thank you to the crew who managed the situation well,” he wrote on Twitter. We are safe and sound! Thank you to everyone who has expressed concern and thank you to the crew who managed the situation well. We believe that God will continue to keep us and Nigeria safe even as we go higher. Nigeria’s general elections are scheduled for February 16.